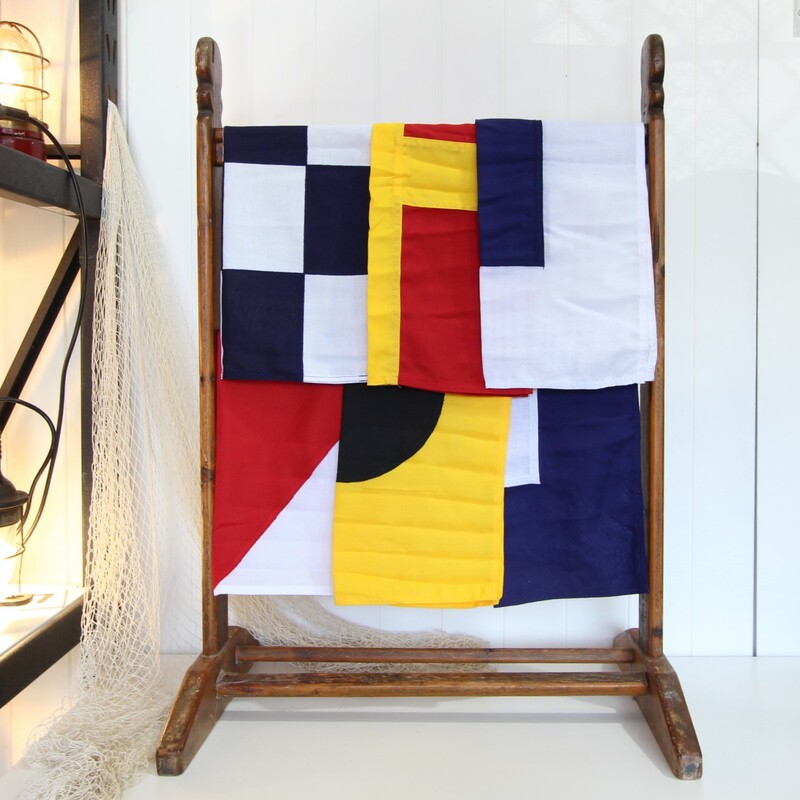 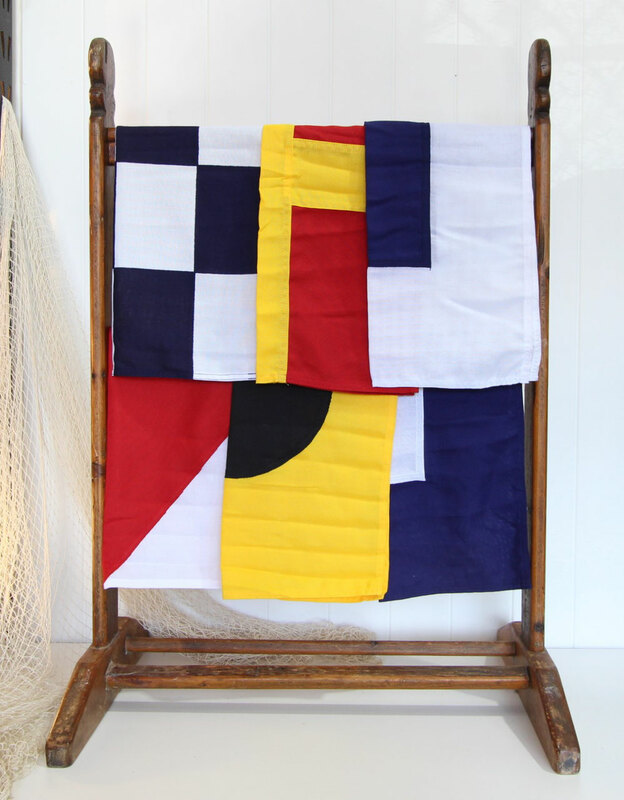 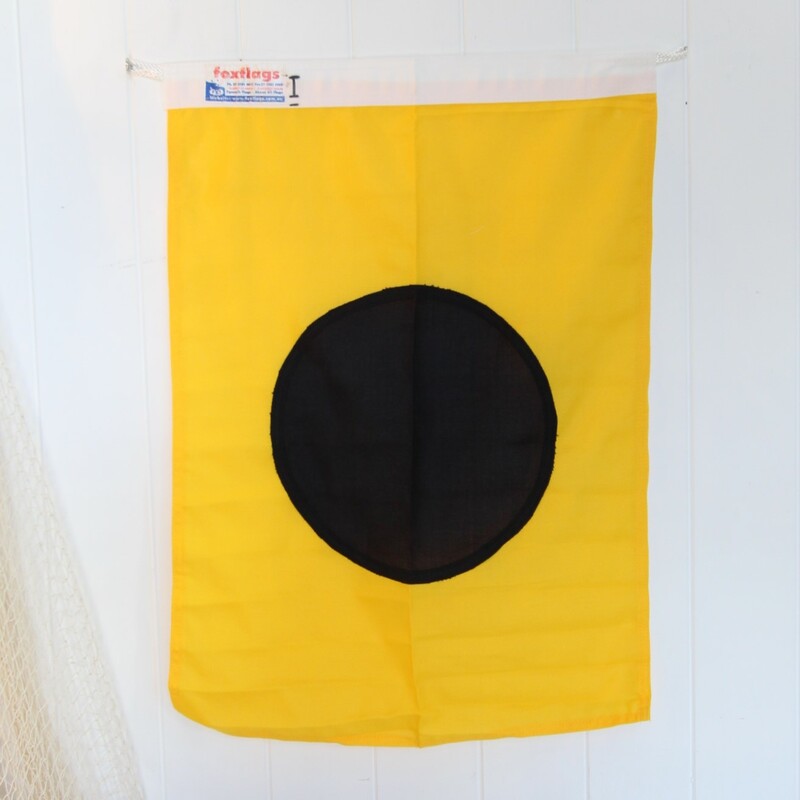 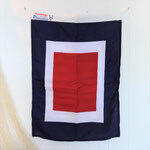 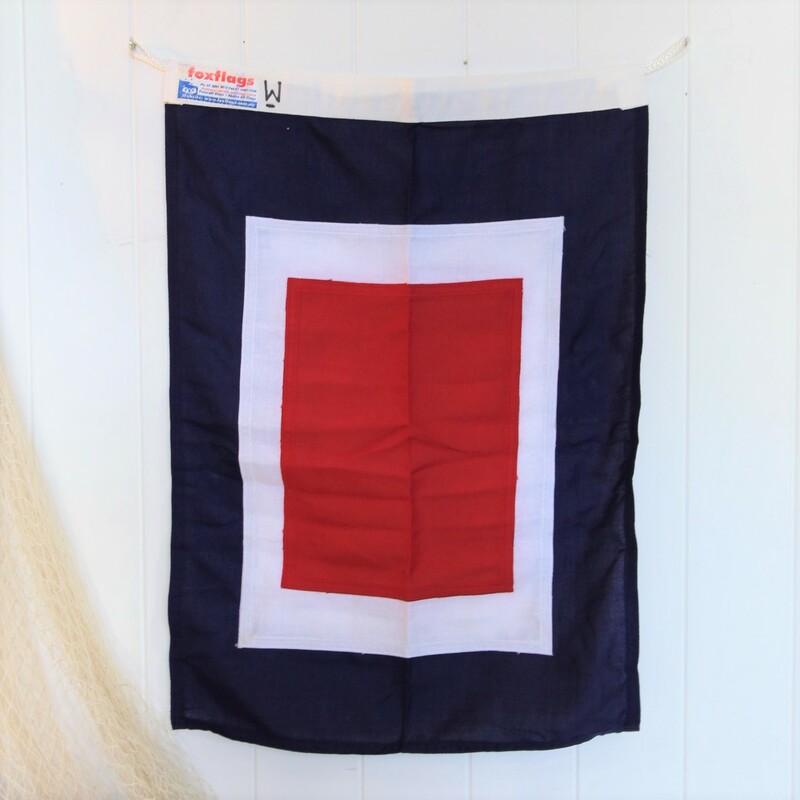 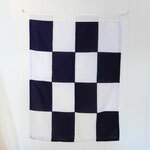 These small nautical flags represent the maritime signal alphabet. 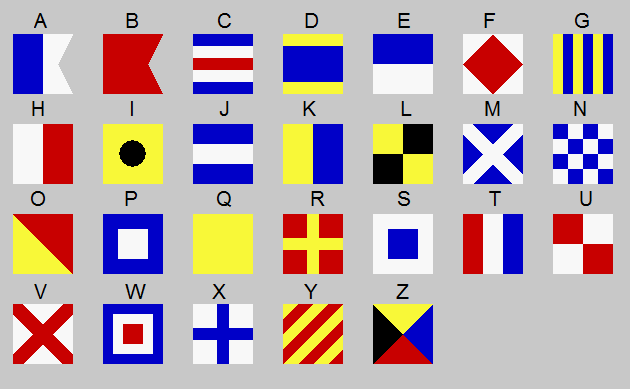 They were used to spell out short messages to each other between ships. 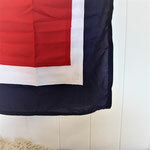 Strung end to end and hung bow to stern from the rigging they were used to dress up ships for ceremonial and festive occasions. 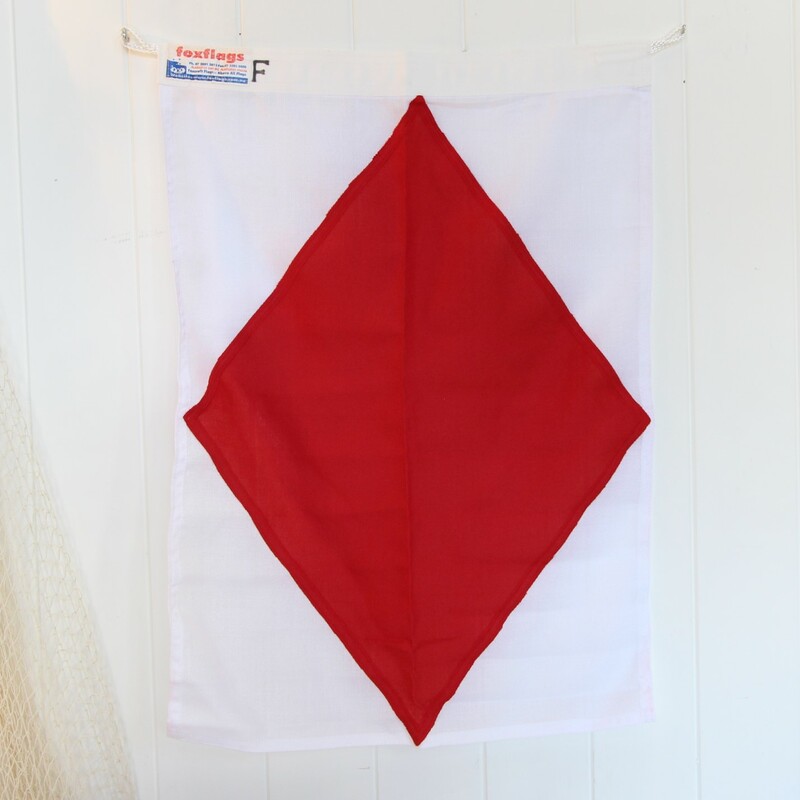 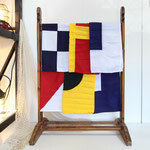 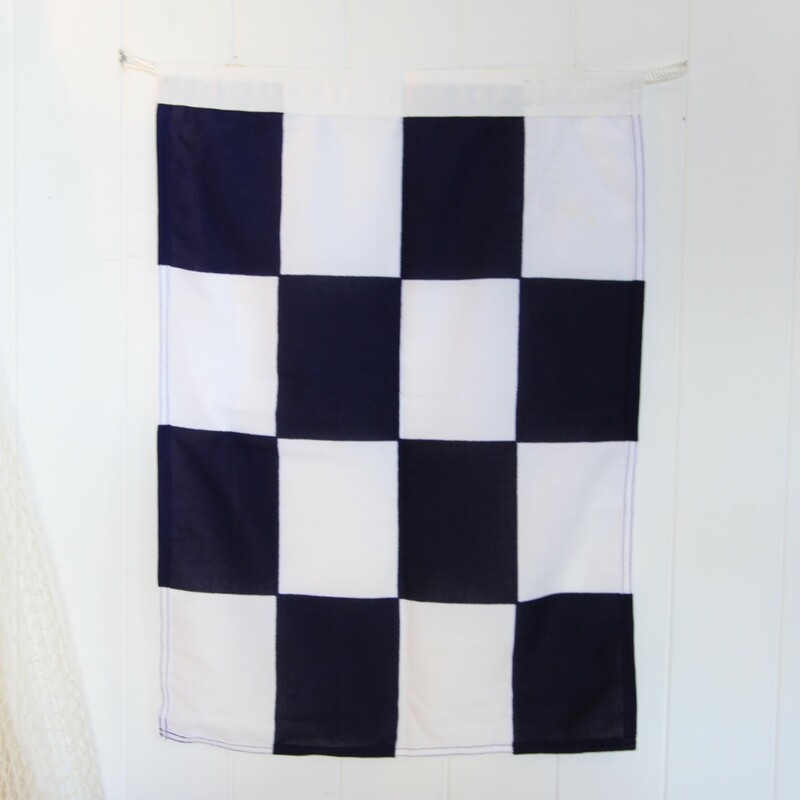 Today they make great coastal home decor and are meant to stand up to the ocean winds. They are all sewn, not printed. Strong & light-weight. 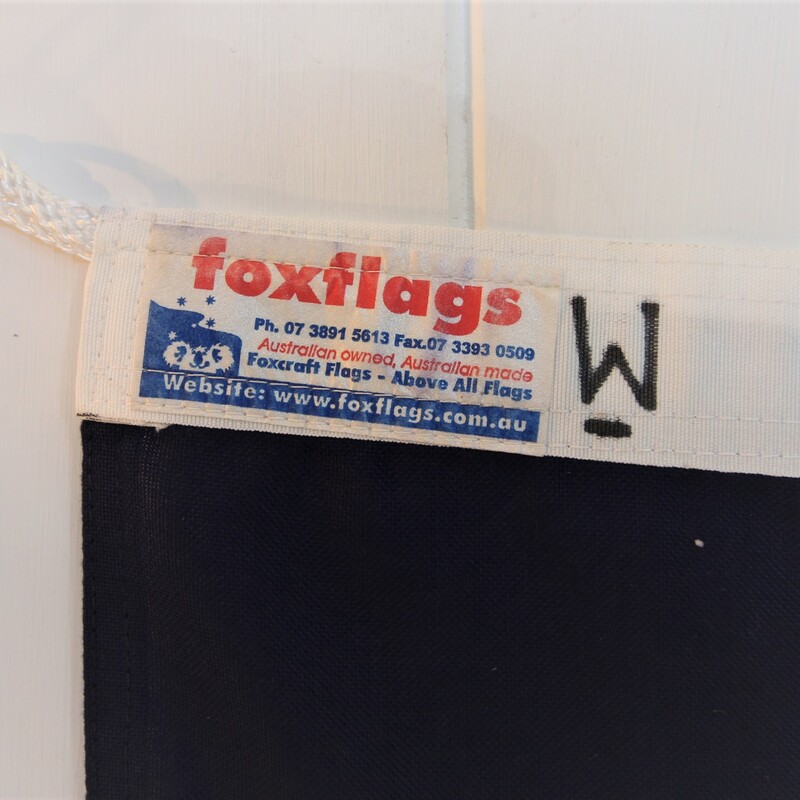 This assortment of flags were made by Foxflags in Australia. 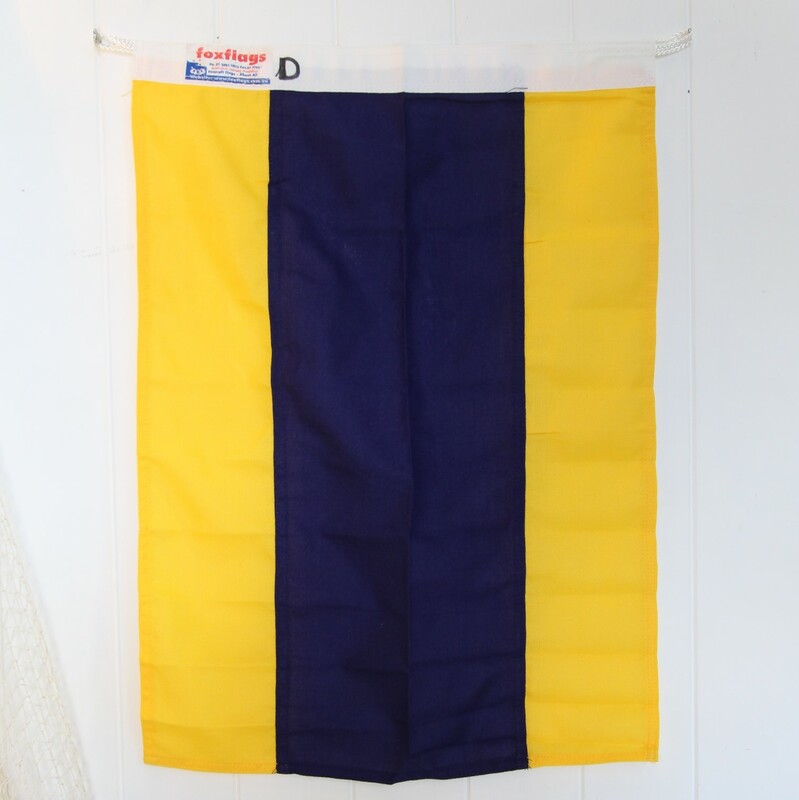 They are around 10 years old and came to us via a local sailor you has recently sold his sailing boat. 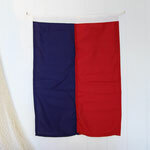 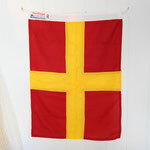 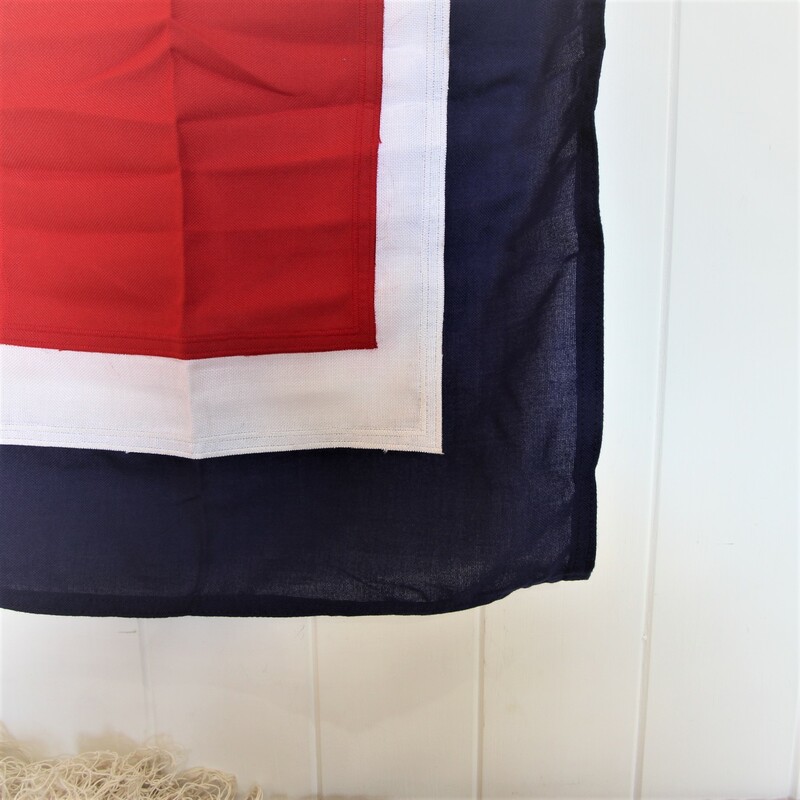 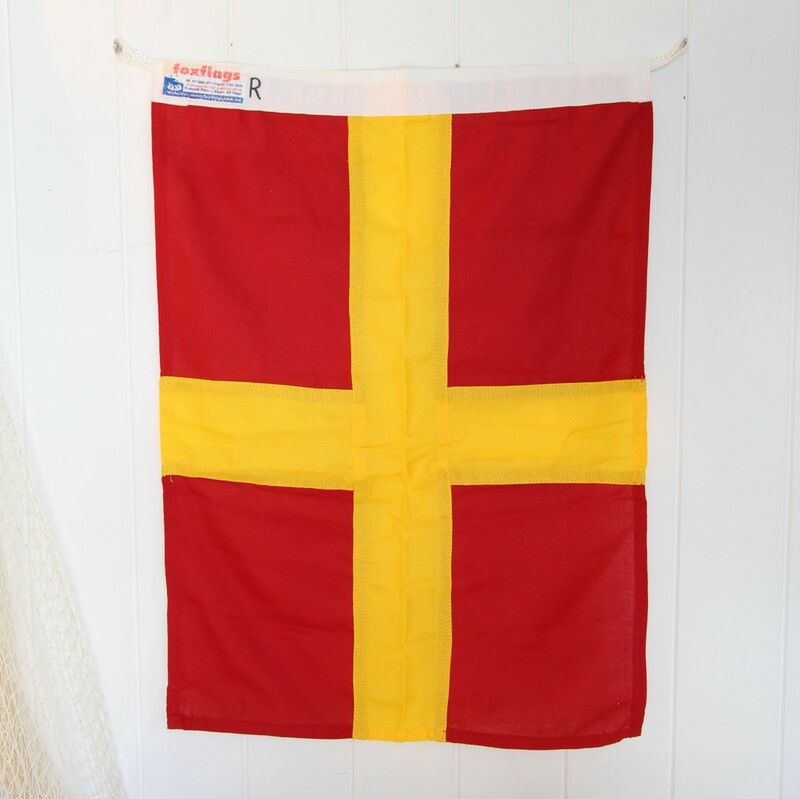 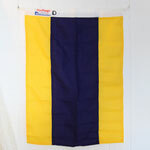 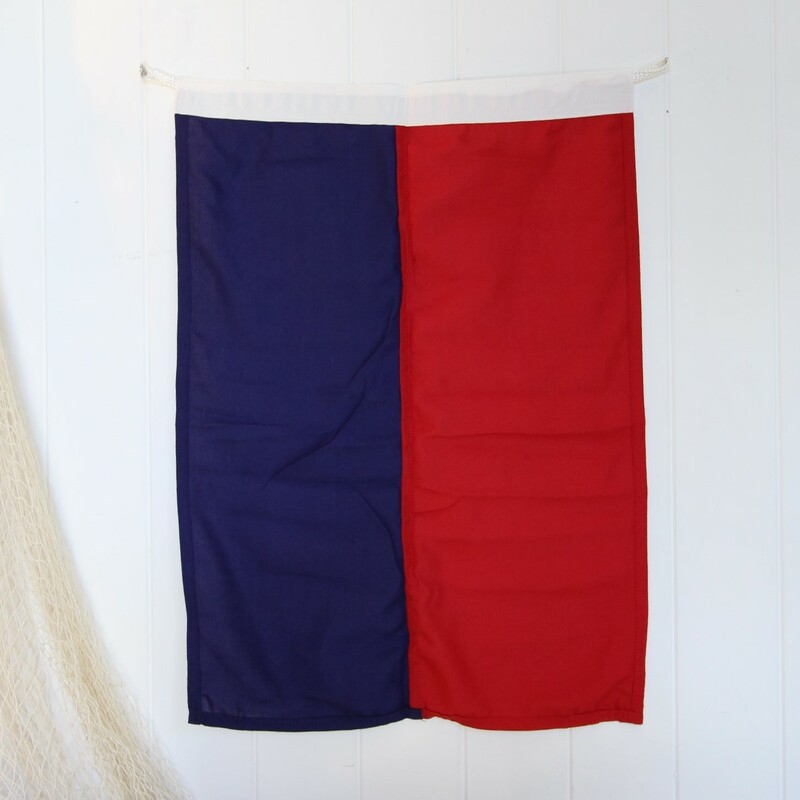 This listing is for one flag. 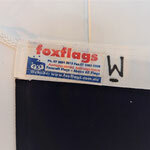 Please select below which flags you would like to purchase. 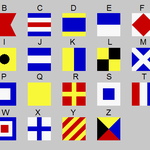 We have a graphic below showing which colour and pattern represents which letter.